After his release, Thug performed at the ceremony with Camila Cabello. 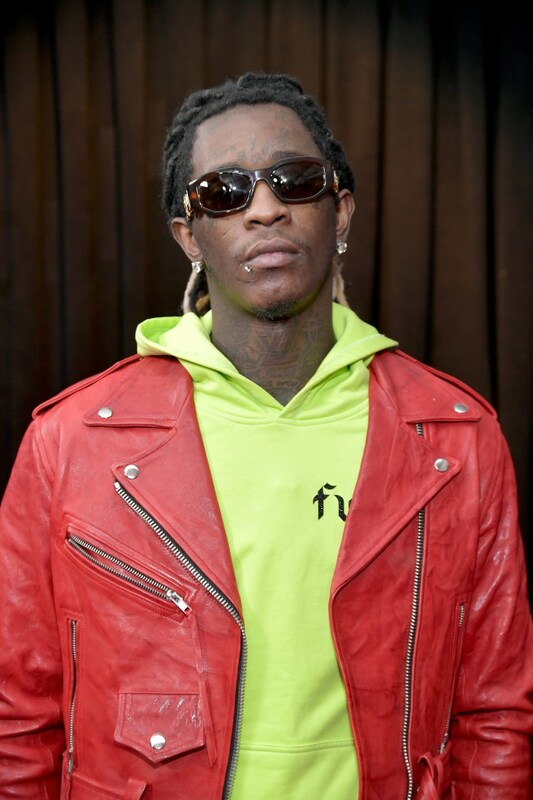 Just hours before the 61st Grammys aired last night in Los Angeles, Young Thug was detained — and subsequently released — by local police. TMZ reports that Thug, and a group of guys were pulled over by authorities in front of a McDonalds in L.A.'s West Hollywood neighborhood for a traffic violation. The passengers — including Thugger — were then taken out of the van and handcuffed. One of the individuals in the car then told the officers that he was in possession of a registered firearm. TMZ notes that the firearm was registered, but not in the state of California. Upon learning this, the man with the gun was ultimately arrested. Thug and all other individuals were then set free. At the Grammys later that night, Thugger helped Camila Cabello open the show, joining her for a performance of their collab track "Havana." The On The Run rapper also ended up winning a Grammy for Song of the Year for his work on Childish Gambino's "This Is America." Peep the video obtained by TMZ here.